Please help us raise funds for our much loved son to get treatment for brain cancer. Oli went to the Royal Latin School Buckingham and then on to Uni. He graduated from Pembroke College Cambridge in 2013. He was 22 and just starting out in life with his dream job when he had a seizure completely out of the blue. That was in August 2014. Tests were done and this resulted in Oli being diagnosed in December 2014 with a particularly aggressive brain tumour. He was given the awful prognosis of 12 to 18 months left to live. Oli is the most positive person I know. Not once has he complained about all his treatment or said "why me". He is surrounded by family and friends who love him so very much. He leaves a little bit of his heart with every person he meets. Once met never forgotten! He successfully underwent radiotherapy, chemotherapy and immunotherapy. This took 15 months. 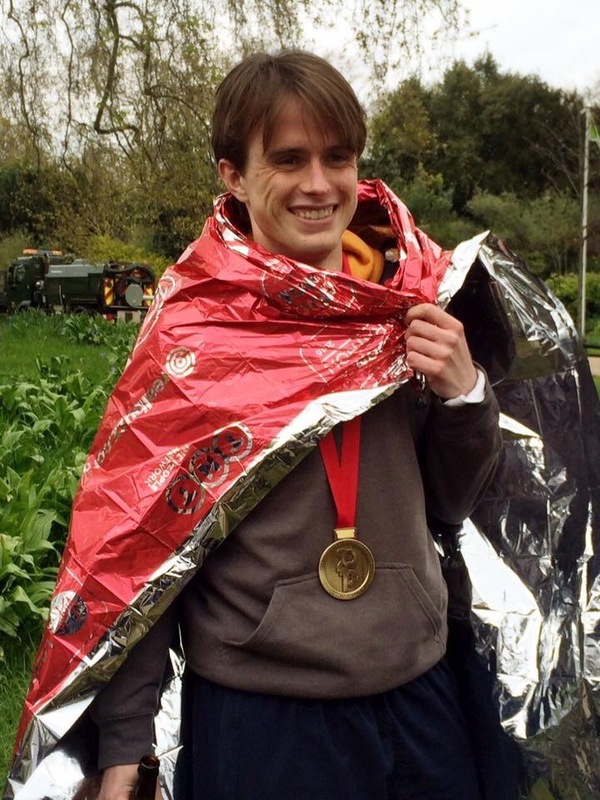 One month after finishing treatment Oli ran the London marathon in less than 4 hours. 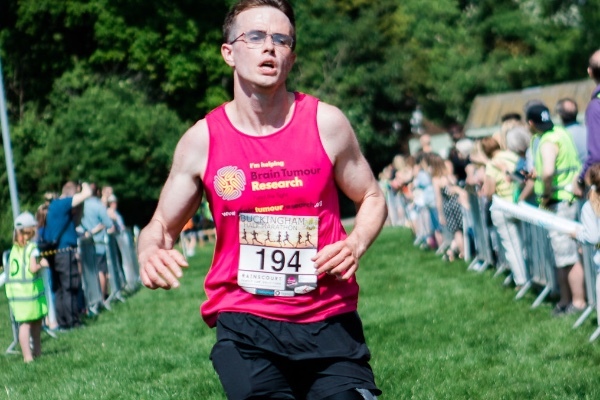 He raised 60k including gift aid for Brain Tumour Research. He went back to work full time the day after the marathon to a very demanding job. All subsequent scans showed improvement thanks to the treatment he had received and he returned to a normal lifestyle. Unfortunately last year more tests revealed the tumour had returned. He has recently undergone brain surgery to remove the affected tumour. An unfortunate side effect of the surgery has resulted in loss of peripheral vision. He starts chemotherapy next week which will last for between 9 and 12 months. His oncologist would like him to receive a vaccine made from a culture developed from the tumour they have removed. This is a dendritic cell vaccine. Now we are asking for your help to fund this vaccine which is unavailable on the NHS to enable this young man to continue with his wedding plans and have a wonderful future with his fiancée. Gigi has been by his side from day one and has been the most incredible support to him and us. Oli and Gigi got engaged just before Christmas. Wedding plans are going ahead for summer 2019. We have the most wonderful day to look forward to. I will be the Mother of the Groom. Please share this far and wide, with your help we can make this happen. Thank you for taking the time to read this. Oli is on a waiting list to make this vaccine. Funds will be transferred to Oli who will pay the company who create the vaccine when payment is due. Sorry for the lack of communication but there has been an awful lot of progress in the last few weeks and it is all good news. This follows a very difficult time with the appearance of two separate areas of recurrences of tumours. We are now pleased to say things are finally in the right direction. Earlier this week, I started treatment in Cologne, Germany, where I began part of the process for receiving a dendritic cell (DC) vaccine alongside an oncylitic virus and hyperthermia treatment. The first stage of the treatment takes place across 3 months with preliminary results expected in January, of which we will keep you updated. We hope to combine this with a T-cell therapy by Christmas to harness the full strength of immunotherapy against GBM, the supposedly most lethal form of brain cancer (which I have no intention in succumbing to!). Obviously having another terminal prognosis and 6 month life expectancy stings a little, but I am as optimistic as ever. Last time round, nearly 4 years ago, it was only 12 months so I figure my odds are still pretty good if not better this time round and on this treatment! We are also exploring further treatments to run alongside this to give the best chance possible, as it becomes increasingly clear that multi-modal treatment is needed to give the best chance for a long and happy life. None of this would have been possible without the generosity of everyone involved in fundraising and I am sincerely and genuinely grateful to every single one of you for your help, well-wishes, support, contributions, donations and involvement. Thank you all for your continued support. You have no idea how much this means to us. Your support and generosity is incredible. Cherish every moment with the people you love. Tell them just how much they mean to you. Spend time with them and let them know how much you love them. Life is so very precious .